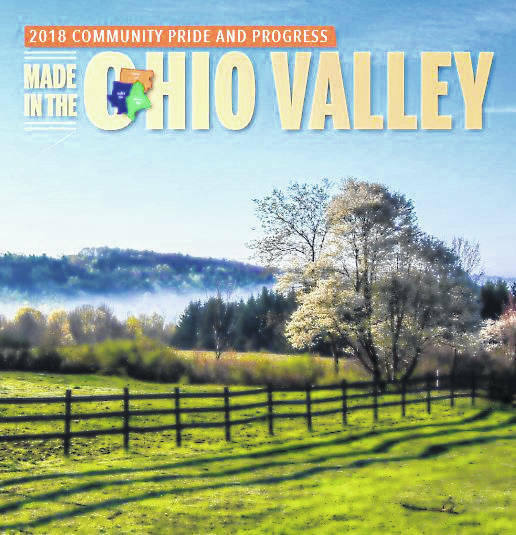 OHIO VALLEY — Inside today’s newspaper is Ohio Valley Publishing’s largest, annual special edition – “Community Pride and Progress” featuring stories from Gallia, Meigs and Mason counties. This year’s theme is “Made in the Ohio Valley” with a focus on items, ideas, inspiration and individuals both unique to the region and the world. Inside, readers will find features on local creators of coffee, quilts, educational programs, “art furniture,” homemade brooms, honey, artisan cheese, Letart tomatoes, portraits of “visiteurs” as well as “revolutionary art,” one-of-a-kind automobiles, motors that turn the world, photography with Facebook followers, sweet, sweet music and more. Bud Hunt is publisher of the Gallipolis Daily Tribune, Point Pleasant Register and The Daily Sentinel. At 48 pages, this is the largest “Progress” edition in OVP’s recent history. It contains 23 original features as well as countless informational stories on local supporters of this project. “Our hope is readers enjoy learning about how our corner of the world makes its impact felt. We also want to extend a heartfelt ‘thank you’ to our advertisers who partnered with us for this annual special edition,” Hunt added.